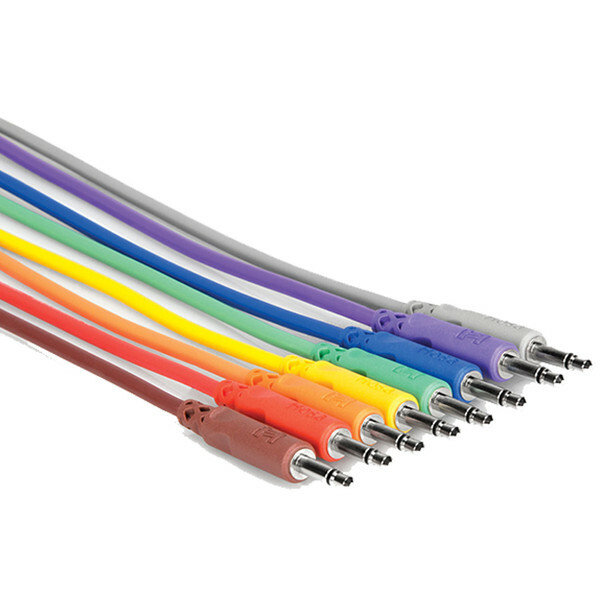 Hosa's CMM-815 Mini Jack - Mini Jack Patch Cables are designed for connecting pro quality audio gear with unbalanced mini phone jacks, making them perfect for use with modular synths and sound modules. The cables feature nickle plated plugs that offer excellent durability and effectively transfer the signal from one device to another. The OFC conductors help to enhance the signal’s clarity and the spiral shield helps keep it flexible and provides effective RFI and EMI rejections.